For a design that will leave visitors in awe, our specialty tiles are the answer. Look at designs we have already put to life, and keep in mind your vision can be brought to life as well. Limelight Tile & Ceramics is unique in that we offer 200+ glaze options for interior and exterior use. Be sure to check out all of the options, especially our beautiful Art Glazes, which are sure to make your project stand out! 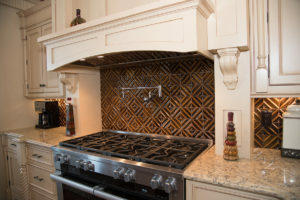 Whether you need custom tiles and ceramics for residential or commercial purposes, you can depend on our team to craft unique pieces for you. If you want to make a statement in your restaurant, hotel, casino, or other types of business, let our talented team create a tile design for you. To give us an idea of what you are looking for, you can provide a sketch or describe your vision and we will create it for you. To ensure your design is consistent with your business, we can match tiles to the color of your logo or branding. 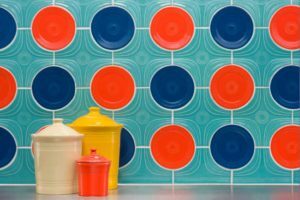 When it comes to custom ceramic tiles for your home, we can match the color to items in your home such as drapery, paint, or towels. 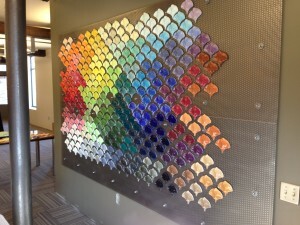 As a custom tile manufacturer, Limelight Tile & Ceramics wants you to be able to create the unique look you are envisioning for your home or business, which is why we offer over 300 glazes for our custom tiles. We are honored to reveal our relationship with The Homer Laughlin China Company & FIESTA® Dinnerware. Now being an official licensee, we have designed, are producing, and selling FIESTA™ porcelain tiles. The FIESTA™ porcelain tiles are available in the 15 FIESTA® colors (including the newly retired Claret and Tangerine) & will be available in Mulberry spring of 2018! As a family-owned-and-operated business, we believe in creating quality products and customer satisfaction. Our friendly staff will work with you to design and manufacture custom tiles for you. We are located in the Strip District of Pittsburgh, PA, but we are proud to serve our customers nationwide. We work by appointments only because we provide our every client with personalized one-on-one services. Schedule your appointment today by calling (412) 904-4040.